Appalachian Ski Mountain is OPEN - 12 slopes with 6 lifts on a base of 48 - 108 inches. Beech Mountain Ski Resort is OPEN for skiing and boarding on 14 slopes with 5 lifts on a base of 50 - 88 inches. Cataloochee Ski Area is OPEN - 17 slopes with 5 lifts on a base of 65 - 90 inches for day and night skiing. Sugar Mountain Ski Resort is OPEN - 20 slopes with 7 lifts on a base of 56 - 114 inches for day and night skiing and boarding. Ice Skating is open. Tubing is open on 8 lanes. Wolf Ridge Ski Resort is OPEN - 12 slopes with 2 lifts on a base of 48 - 65 inches for day and night skiing and boarding. Tubing is open. Get links and more details on the NC ski Resort Guide. Appalachian Ski Mountain is OPEN - 12 slopes with 6 lifts on a base of 48 - 104 inches. Beech Mountain Ski Resort is OPEN for skiing and boarding on 14 slopes with 5 lifts on a base of 50 - 86 inches. Cataloochee Ski Area is OPEN - 17 slopes with 5 lifts on a base of 63 - 88 inches for day and night skiing. Sugar Mountain Ski Resort is OPEN - 20 slopes with 6 lifts on a base of 56 - 114 inches for day and night skiing and boarding. Ice Skating is open. Tubing is open on 8 lanes. January 26 GNU/Libtech Shred for the Cup Big Air The 2nd event of the SFTC Series and always exciting Big Air. The Shred for the Cup series has become the benchmark Park competition series in the region, with 3 events held throughout the winter that test Skiers and Snowboarders skills in several park disciplines - Rail Jam, Big Air and Slopestyle. As always, the Series has categories for all skill levels of both Skiers and Snowboarders, as well as a dedicated women’s category in both Ski and Board. Riders can save money by registering for the entire series, as well as pre-registering before the day of the event. Get more details on the NC Ski Resort Guide. Appalachian Ski Mountain is OPEN - 12 slopes with 6 lifts on a base of 46 - 94 inches. Beech Mountain Ski Resort is OPEN for skiing and boarding on 15 slopes with 7 lifts on a base of 48 - 82 inches. Cataloochee Ski Area is OPEN - 17 slopes with 5 lifts on a base of 57 - 82 inches for day and night skiing. Sugar Mountain Ski Resort is OPEN - 20 slopes with 7 lifts on a base of 53 - 111 inches for day and night skiing and boarding. Ice Skating is open. Tubing is open on 8 lanes. Wolf Ridge Ski Resort is OPEN - 13 slopes with 3 lifts on a base of 48 - 62 inches for day and night skiing and boarding. Tubing is open. January 25 - 26 Cataloochee Ski Area is hosting its first race weekend with the Crescent Ski Council Race Series this Saturday and Sunday. CSC Racing holds a series of races throughout the southeast every season attracting an average of 150 of the Southeast's best ski racers and their families each weekend. Upper Omigosh and Alley Cat will be open ONLY TO RACERS on both Saturday and Sunday mornings. Alley Cat will also be closed Sunday afternoon for NASTAR public racing. Take advantage of this opportunity to come out and watch this exciting race and also try your hand at NASTAR. Get a link for Cataloochee Ski Area on the NC Ski Resort Guide. Enjoy the fresh natural snow and perfect NC ski conditions, but bundle up 'cause baby it's COOOOLD out there! Drive with care and use the 4 wheel or all wheel drives if you have them. Appalachian Ski Mountain is OPEN - 12 slopes with 6 lifts on a base of 45 - 86 inches. Beech Mountain Ski Resort is OPEN for skiing and boarding on 15 slopes with 5 lifts on a base of 38 - 68 inches. Cataloochee Ski Area is OPEN - 17 slopes with 5 lifts on a base of 57 - 78 inches for day and night skiing. Sapphire Valley Ski Area - re-opens Friday at noon on both slopes with 3 lifts and a base of 18 - 50 inches. Frozen Falls Tubing re-opens Friday at noon for sessions from 10 AM through 6 PM. Call 828-743-1162 for recorded updates. Sugar Mountain Ski Resort is OPEN - 20 slopes with 8 lifts on a base of 50 - 106 inches for day and night skiing and boarding. Ice Skating is open. Tubing is open on 8 lanes. Wolf Ridge Ski Resort is OPEN - 11 slopes with 3 lifts on a base of 38 - 60 inches for day and night skiing and boarding. Tubing is open. .
Get links for all NC Ski Areas and Snow Tube Parks on the NC Ski Resort Guide. January 25 - 26 USSA Slalom and Giant Slalom Competition Slalom and Giant Slalom competition for licensed USSA racers. U10-U21 and Masters. Registration follows USSA procedures. No registration on race day. 9 AM Start time. 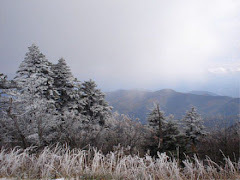 Get more information about Sugar Mountain NC HERE. Beech Mountain Ski Resort is OPEN for skiing and boarding on 15 slopes with 7 lifts on a base of 38 - 64 inches. Cataloochee Ski Area is OPEN - 17 slopes with 5 lifts on a base of 53 - 72 inches for day and night skiing. Sapphire Valley Ski Area - is open on both slopes with 3 lifts and a base of 18 - 50 inches. Frozen Falls Tubing is open for sessions from 10 AM through 6 PM. Sugar Mountain Ski Resort is OPEN - 20 slopes with 7 lifts on a base of 47 - 100 inches for day and night skiing and boarding. Ice Skating is open. Tubing is open on 6 lanes. Wolf Ridge Ski Resort is OPEN - 11 slopes with 4 lifts on a base of 45 - 60 inches for day and night skiing and boarding. Tubing is open. Save 20% on Season Memberships Now! Enjoy some of the best skiing and riding at Appalachian Ski Mountain (ASM) now through the end of the season at a discounted rate! All membership and pass options are now discounted 20%! To take advantage of this special pricing and purchase online, click HERE, or feel free to call or stop by the Main Office (828) 295-7828. Appalachian Ski Mountain is OPEN - 12 slopes with 6 lifts on a base of 40 - 75 inches. Beech Mountain Ski Resort is OPEN for skiing and boarding on 14 slopes with 5 lifts on a base of 34 - 60 inches. Cataloochee Ski Area is OPEN - 17 slopes with 5 lifts on a base of 49 - 59 inches for day and night skiing. Sapphire Valley Ski Area - re-opens today at noon. Base of 18 - 42 inches. Frozen Falls Tubing re-opens today. Sugar Mountain Ski Resort is OPEN - 18 slopes with 6 lifts on a base of 41 - 90 inches for day and night skiing and boarding. Ice Skating is open. Tubing is open on 6 lanes. Wolf Ridge Ski Resort is OPEN - 11 slopes with 4 lifts on a base of 35 - 55 inches for day and night skiing and boarding. Tubing is open. .
Get links for details about all NC Ski Resorts and Areas on the NC Ski Resort Guide. With the arrival of a new cold front and snowmaking in progress the NC slopes and ski resorts are anticipating great conditions of a holiday weekend of winter fun. NC skiing, snowboarding, tubing and ice skating will be open at Appalachian Ski Mountain in Blowing Rock, Beech Mountain Resort on Beech Mountain, Cataloochee Ski Area in Maggie Valley, Sapphire Valley Ski Area and Frozen Tube Park (open Firday at noon) in Sapphire Valley, Sugar Mountain Resort on Sugar Mountain and Wolf Ridge in Mars Hill. Additional tubing parks are Hawksnest between Banner Elk and Boone on Seven Devils, Tube World in Maggie Valley, Jonas Ridge Tubing Park between Blowing Rock and Linville, Scaly Mountain Outdoor Center (tubing and ice skating) south of Highlands and Moonshine Mountain in Hendersonville. Temperatures will be in the 20s with natural snowfall in most areas so bundle up and drive with care. Check online or by phone for last minute conditions. January 20 - 24 33rd Annual Adaptive Ski Clinic The oldest adaptive ski clinic and the first of a group of national instructional clinics started by Disabled Sports USA which previously was known as National Handicap Sports. The instructional team for the event is from all over the US and all PSIA Adaptive certified instructors with over 60 years of combined experience. The participants come from all over the southeast region including: NC, SC, GA, TN, AL, and FL. Ages range from age 4 into their 70’s with a variety of diagnoses. Find a link for the Adaptive Ski Clinic and other ski and snowboarding events on the NC Ski Resort Guide. Appalachian Ski Mountain is OPEN - 9 slopes with 5 lifts on a base of 32 - 64 inches. Beech Mountain Ski Resort is OPEN for skiing and boarding on 12 slopes with 4 lifts on a base of 33 - 55 inches. Cataloochee Ski Area is OPEN - 17 slopes with 5 lifts on a base of 43 - 53 inches for day and night skiing. Sapphire Valley Ski Area - is temporarily closed until Friday. Frozen Falls Tubing is temporarily closed until Friday. Sugar Mountain Ski Resort is OPEN - 15 slopes with 5 lifts on a base of 33 - 70 inches for day and night skiing and boarding. Ice Skating is open. Tubing is open on 6 lanes. Wolf Ridge Ski Resort is OPEN - 10 slopes with 2 lifts on a base of 30 - 48 inches for day and night skiing and boarding. Tubing is open. January 18 Party in your Park With three teams, three features, and a whole lot of good times – Party in Your Park is pretty much that, except you can win a few things. Prizes will be given for Best Trick, Hardest Charging, Best Style. It’s a party, so ride to have fun. Learn more about Party in the Park and get a link for Beech Mountain skiing and boarding on the NC Ski Resort Guide. 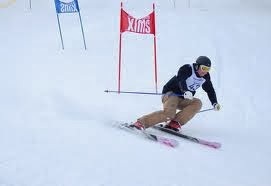 January 19-20 College Race at Sugar Mountain Slalom and Giant Slalom races for qualified college students. Ski and Snowboard competitions begin at 9 AM. Get links for more information about the College Race and Dugar Mountain Ski Resort on the NC Ski Resort Guide. January 12 High Country Junior Race Series Giant Slalom A Giant Slalom competition for all High Country junior racers. Registration is from 7:30 AM - 8:30 AM. Race start is at 9 AM on Big Red. Learn more about Sugar Mountain and other NC skiing on the NC Ski Resort Guide. Appalachian Ski Mountain is OPEN - 8 slopes with 5 lifts on a base of 40 - 70 inches. Beech Mountain Ski Resort is OPEN for skiing and boarding on 14 slopes with 5 lifts on a base of 35 - 60 inches. Cataloochee Ski Area is OPEN - 17 slopes with 5 lifts on a base of 52 - 66 inches for day and night skiing. Sapphire Valley Ski Area - is OPEN - beginning noon Friday. Frozen Falls Tubing is open noon Friday. Sugar Mountain Ski Resort is OPEN - 18 slopes with 5 lifts on a base of 42 - 85 inches for day and night skiing and boarding. Ice Skating is open. Tubing is open on 6 lanes. Wolf Ridge Ski Resort is OPEN - 10 slopes with 2 lifts on a base of 35 - 50 inches for day and night skiing and boarding. Tubing is open. January 10 at Appalachian Ski Mountain - K2 Pop This! / Fresh Friday 2 The K2 highest ollie tournament goes into round #3. After tremendous success and unbelievable 100cm record in years past, the K2 Pop This! tournament is traveling all around the world, and comes back to ATP for the third season. Win prizes and have lots of fun with friends. Get lodging information on the Blowing Rock NC Visitor Guide. January 17-20 Martin Luther King, Jr. Holiday Weekend at Cataloochee Ski Area Holiday rates will be in effect. In addition to the regular twilight and night skiing schedule of Tuesday through Saturday evenings, there will also be twilight and night skiing on Sunday, January 19. Learn more about Martin Luther King Weekend skiing on the NC Ski Resort Guide. Get local lodging and comp,ete visitor information on the Maggie Valley NC Guide. Appalachian Ski Mountain is OPEN - 9 slopes with 5 lifts on a base of 38 - 66 inches. Cold weather and natural snow is on the way. Beech Mountain Ski Resort is OPEN for skiing and boarding on 4 slopes with 3 lifts on a base of 32 - 56 inches. Cataloochee Ski Area is OPEN - 16 slopes with 5 lifts on a base of 48 - 62 inches for day and night skiing. Sapphire Valley Ski Area - is OPEN - temporarily closed until noon Friday. Frozen Falls Tubing is closed until Friday. Sugar Mountain Ski Resort is OPEN - 17 slopes with 5 lifts on a base of 40 - 66 inches for day and night skiing and boarding. Ice Skating is open. Tubing is open on 6 lanes. Wolf Ridge Ski Resort is OPEN - 10 slopes with 2 lifts on a base of 30 - 45 inches for day and night skiing and boarding. Tubing is open.